Mathematica just released a study on how charter middle schools impact college enrollment and completion. Before I dig into the study, some quick context. An important research finding over the past decade has been that schools with neutral test score impacts sometimes achieve positive lifetime outcomes for their students. Equally important, schools with positive test score impacts often don’t achieve positive life outcomes for their students. Another important finding (a finding that is often glossed over by my libertarian leaning friends) is that schools with negative test score impacts are much less likely to achieve positive lifetime outcomes for their students. Taken together, these findings have narrowed my belief in test based accountability. Previously, I put a lot of weight on the difference between positive, neutral, and negative test score schools. Now I focus more attention on selectively transforming schools with negative test score impacts. I also care much more about parent demand than I used to. The Mathematica study has two very major limitations. First, it covers charter schools from a previous era (2005-2007). In the subsequent decade, many charter schools (especially those we work closely with) have increased their focus on getting kids to and through college and into meaningful careers. Second, the study is very small. The sample only included 10 urban charter schools. Additionally, only 3 schools in the entire study had poverty rates over 75%! The small sample means the study is fairly under powered. With a sample this small, only large effects will be picked up. A modest but positive correlation between achievement and college graduation, for example, would not be statistically significant in this study. Other similar studies have looked at entire states, and included many more high poverty charter schools, so I place much less weight on this study. The study did not find a statistically significant relationship between test score and college completion results. The chart below details the major findings, with each dot representing a school. When you eyeball the graph, some trends emerge, especially the low number of schools in the bottom right quadrant (high test effects, low college effects). When I emailed the authors about this trend, they said they were not statistically significant and we should be cautious to draw conclusions by looking at patterns the scatter plot. The small sample size and the decade old study window period mean that the study itself won’t move my opinion on the issue that much. Only 3 schools in the study were high poverty schools. Nearly all of the schools that we work with are high poverty schools. In partnership with the Arnold Foundation, we’re supporting a bunch of more research on the issue, and I’m excited to learn more. I will change my mind if the findings change. This entry was posted in Research on April 3, 2019 by nkingsl. A .2 standard deviation increase in academic performance is a pretty good sized effect. In this study, the .2 effect equates to attending a school that is 5 percentile points higher in ranking in academic performance. Most interventions that achieve a .2 effect cost money. Over the past decade many cities have adopted unified enrollment systems. These systems allow families to go online and view information on all public schools in their city, and then submit their ranked preference of schools to the government. New Orleans, Indianapolis, Denver, Chicago, Newark, Camden, and New York all have some version of this system for at least some grades. These systems are great in that they give parents more information, allow them to easily apply to schools online, and help policy makers get information on which schools are most in demand by parents. I’ve previously written about how the user interfaces for these systems diverge greatly in in quality. Some feel like you’re using a great iphone app and some are barely better than opening PDF files. How Does User Interface Affect School Selection? In this study, researchers worked with a consumer testing company to recruit a group of parents to use a generic unified enrollment system to select a school. They then broke the sample into groups and presented a different user interface to each group, with the aim of testing how presenting information would impact school selection. The researchers created two default sort orders: in the first case, you put in your address and then you are shown the schools nearest to your address; in the second case, you are shown the highest performing schools available to you. The researchers found that if you make academic performance the default sort order, parents ended up picking schools that were +5 percentile points higher ranked on academic performance. Making academic performance the default order costs no money. The study has some real limitations. First, the stakes weren’t real. The parents weren’t actually selecting a school that they would send their child to. This probably meant they put less effort into the school selection. They also weren’t able to get information from other sources (like friends and family). Second, having parents pick schools with higher academic performance ratings is only useful if those ratings accurately measure student learning. In cities that use value-added methods for school rankings, I’d feel more comfortable with this nudge. In cities that mostly use absolute test scores, I’d feel less comfortable. Third, academic performance isn’t everything, and parents select schools for a variety of reasons. Ultimately, designers of the interface do have to make choices, so I’m ok with a bit of nudge toward academic performance, but I don’t think we should make this nudge at the expense of giving families a wholistic picture of schools. All that being said, the study shows that small and easy to make changes in user interface may have an impact on how families select schools. If I was a government official that managed a unified enrollment system, this study would lead me to experiment with similar interventions for my own city’s system. At the very least, I’d want to make sure that my user interface decisions were deliberate and values based rather than ad-hoc and random. Lastly, great unified enrollment systems are about equalizing access to great public schools. They do nothing to increase the number of great public schools. Cities would also do well to do all they can to help their best public schools expand. This entry was posted in Decision Making, Research, Unified Enrollment on November 8, 2018 by nkingsl. For the past ten years, I’ve been worried that the test score gains we were seeing in New Orleans wouldn’t lead to longer-term benefits for New Orleans students. I worried about this both because of the research showing that increases in test scores are not always correlated to better life outcomes, as well as the fact that many colleges in Louisiana are pretty mediocre and could still fail to educate students even if they came in better prepared. Thankfully, just published research by Doug Harris and Matt Larson provides early indication that New Orleans students have both achieved an increase test score performance *and* better post-secondary outcomes. While it’s wonderful to see this data, we’ll continue to learn more as additional cohorts student graduate from the new public system. So far, only a few cohorts of New Orleans students attended all of their high school and post-secondary education post-Katrina. My expectation is that the results will improve overtime, as the major high school reforms took place later in the reform effort. Good non-profit charter school operators now run many more of the high schools than they did in the few years after the storm. Lastly, it’s worth noting that the New Orleans reforms were not a randomized controlled trial. A tragedy occurred and educators and families did their best in the aftermath. I’m not expert enough to judge the author’s methodological choices, but am eager to see other researchers weigh in on whether or not this is the best way to estimate the impacts of the reforms. Across all subjects, the researchers found +.4-.6 standard deviations effects. A rough rule of thumb is that .25 standard deviation increase equals an additional year of learning. By this estimate, New Orleans students achieved an additional two years of learning relative to the education they would have received before the storm. The researchers found an estimated six percentile point increase for high school graduation. While positive, this is below the gains of twenty points often touted by reformers. The researchers explain that because high school graduation was going up across the state, some of the twenty point gains would have likely occurred without the reforms. The researchers found a 10-15 percentage point jump in college entry. The effect was particularly high for on-time college enrollment (enrolling right after high school), where the rate jumped from 22% to to 37%. Of course, we don’t just want to see students enter college. We hope that they graduate as well. The researchers found +4 percentage point gain for on-time college graduation (graduation within five years of enrollment), from about 10 percent to 14 percent. The results for staying in college for two years were higher: about +8 percentage points. So it seems likely that many students who entered college because of the reforms made it through at least two years. But, again, these are very preliminary results. The students in the data set for college graduation experienced very little of the reform efforts. This rate should go up over time. I really hope that 14% on time graduation rate will rise significantly in the coming years. The researchers end their paper by noting that the ROI of the New Orleans’ reform efforts is higher than class size reforms and is within range of the famous Perry pre-school study (which is probably on the very high end for pre-k results). My guess is that the New Orleans effort is likely near the top of what we can expect for these types of city level reforms. The low baseline achievement, coupled with the speed of the post-Katrina effort, meant that the reform efforts had the potential to show large increases quickly. But even if other cities see a ROI of 50% less, that would still make the reforms worth scaling. But, for now, it’s worth celebrating a bit for the students of New Orleans: more of them than ever in recent history appear to be on track for choice filled and meaningful lives. This entry was posted in New Orleans, Research on July 24, 2018 by nkingsl. Collin Hitt, Michael Q. McShane, and Patrick J. Wolf just published a report on the connection (or lack of connection) between test scores and long-term outcomes. They looked at a bunch of school choices studies and tried to see if a school’s impact on student test scores was connected to its impact on student life outcomes. Much of our K12 education policy is predicated on the idea that test scores are an important measure of school performance. If this is not true, behavior should change. The Laura and John Arnold Foundation is currently funding more research on this question, and I’m eager to see what we find, especially with regards to income gains over time. This study was predicated on high school and college attainment being an indicator of long-term outcomes, but schooling isn’t always learning. So we should be careful judging school performance based on later school attainment, rather than income (or other measures). But for now, here’s what’s on my mind after reading the study. What do bad test score results tell us? If I’m reading their report correctly (and I hope the authors correct me if I’m not), it seems rare that schools have a negative impact on test scores but a positive impact on long-term outcomes. In the 126 study comparisons where test scores impacts were compared to high school or college outcomes, there were only 2 instances where a study found a significant negative impact on test scores and a significant positive impact on life outcomes. It seems rare for a school to do really poorly on test scores but really great on life outcomes. I think the authors underemphasize this point in their paper. What do mediocre test scores tell us? It is much more common for schools to have a neutral (insignificant) impact on test scores but a significant positive impact on long-term outcomes. It looks like this occurred 32 times in the research review. There may be a bunch of schools that don’t really impact test scores but are doing something that helps with long-term outcomes. What do great test scores tell us? There are no cases where a study found significantly positive test scores and significantly negative life outcomes. So it seems rare for schools to jack up test scores but ruin kids lives. That’s good. However, there were 17 instances of studies finding positive impact on test scores but neutral impacts on long-term outcomes. So there seem to be some schools that are achieving good test results without translating these into great long-term outcomes. How should this research affect regulation and philanthropy? If these results hold, I think I will maintain my belief that we should replace schools with persistent very negative test scores. There appears to be little risk that these schools are really amazing schools. The negative test scores are a useful signal. Yes, there might be other schools that are just as bad at life outcomes that are not closed because they achieve better test scores, but so long as we are closing schools that are not delivering great life outcomes, and opening schools that have a better chance of achieving great life outcomes, this seems like a worthwhile tradeoff. But when it comes to expanding schools, if this research holds, I will rely less on positive test scores, and I think authorizers should do the same. From an authorizer perspective, so long as a school does not have significantly negative test scores, perhaps the school should be able to expand so long as there is parent demand. Philanthropy may also need to adjust by investing more heavily in school operators that show a positive impact on life outcomes (irregardless of test scores), and being willing to fund mediocre test score schools who either have high parent demand or who are using practices that are correlated with positive long-term outcomes (more research needed to determine what these might be). I am very open to moving in this direction if research warrants it. The idea that it’s easier to tell a bad school than it is to identify a great school already matches my intuition, and deferring to parent judgment makes a lot of sense if we are not confident in our analysis of performance. This entry was posted in Allure of Order, Portfolio, Regulation, Research on March 29, 2018 by nkingsl. Did a federal grant to turnaround failing schools in New Orleans and Tennessee work? Back when I worked at New Schools for New Orleans, we applied for a $30m federal grant to turnaround failing schools in New Orleans and scale the model to Tennessee. CREDO just came out with a research study on our efforts. Their findings, and my analysis, are below. In New Orleans, we replaced schools (“closing schools”) that were at 26th percentile in the state with new schools (“CRM schools”) that performed at the ~33rd percentile in the state at the end of the study. In Tennessee, schools went from the ~17th percentile to the ~23rd percentile by the end of the study. In other words, the new schools that replaced the failing schools performed no better or worse than other existing schools in the city. On one hand, this is disappointing. Our most ambitious targets included having the new schools be amongst the highest performing schools in the city. On the other hand, this is still a major improvement: the new schools replaced failing schools and ended up achieving at the same level of most other schools in the city. Replacing failing schools with new schools is a process, not a one-time intervention. Ideally, a subset of the schools you created will do really well, and then, overtime, these schools will continue to grow. The ones that don’t do well will not be supported to do additional turnarounds. Over the long-haul, gradually increasing the number and scale of high-quality school operators is more important than the average effect of the first wave of replacements. In New Orleans, 50% of the new schools had positive effects in both Math and Reading. This is really positive: half of our turnaround schools in New Orleans achieved significantly better results than existing schools across the city. In Tennessee, only one school had positive effects in both Math and Reading, though a few other schools had positive effects in only reading. This makes me optimistic that the school operator base in New Orleans will continue to have the capacity to replace more failing schools over time. The early results in Tennessee are a bit more worrying on the operator quality front, and the next few years will be extremely important in ensuring that a healthy operator base emerges. Lastly: CREDO found that replacing failing schools with fresh start schools (that opened one grade at a time) had a higher success rate than whole school turnarounds. My takeaway here is that you need a mature operator base to do a lot of whole school turnarounds, and no city had enough capacity to really do whole school at scale. In hindsight, we should have done more fresh starts and less whole school turnarounds. Was the Effort a Success? At the outset of the project, I remember debating with our research partners at CREDO about how to set-up the evaluation. I argued that we should ultimately be judged on whether or not the new schools we created were better than the failing schools we replaced. I didn’t think we should be primarily judged on whether or not the new schools were better than other existing schools that weren’t failing. Yes, we did include language in the grant application that had goals of schools performing much better than existing schools. And as we executed the project we tried to pick school operators that we thought could deliver top tier results. Our highest aspirations weren’t met. This is disappointing, but it does not mean the project was a failure. Rather, I consider the project to be a positive step forward in improving public education in these cities. The result of the project strikes at the heart of what’s so difficult about education reform: our aspirations for our most at-risk children are incredibly high, but making progress in creating better educational opportunities is very difficult. In roughly a five year period, we replaced failing schools with new schools that were on average 7 percentile points higher in state performance, which translates to an extra 60-90 days of learning per year. If the process of opening and replacement continues, what is a modest success right now may eventually become a great success. This entry was posted in Achievement School Districts, Federal Education Policy, Governance, Hard Things, Research, Uncategorized on February 21, 2018 by nkingsl. Does anyone know why Chicago children are getting smarter? If you just read the headlines, you might suspect that Chicago’s public schools are in a terrible tailspin. Part of this is the noise of big city politics. Part of this stems from cloud of violence that hangs over the city. But Chicago has improved on academic test scores more than most other cities in the country. Rather than one of the worst, Chicago is one of the best. The authors admit that they don’t know why this occurred. I can’t prove why Chicago kids are getting smarter, but I have a hypothesis. What’s Been Going on in Chicago Public Schools? One way to try and solve the mystery of why Chicago children are getting smarter is to look at the district’s previous major initiatives. As this report details, between roughy 1990 and 2010 there were three overarching eras of reform in Chicago: the decentralization era, the the accountability era, and the do a lot of things era. The authors are very careful to not attribute a causal relationship between reform eras and outcomes. The reforms were messy and not rolled out in an experimental manner – so fair enough. But in this post I’ll try and make my best guess on what was causal and what was not. The decentralization era was best known for the creation of Local School Councils. This reform gave local councils real control over decisions about how schools were run. The councils were made up of school leadership, parents, and community members. The councils always seemed like a terrible idea to me. It’s basically taking all we know about charter schools (good central offices, scalable instructional programs, governance matters) and doing the exact opposite! Not surprisingly, research on the reforms found that the councils had some positive effects on advantage communities, but were least likely to improve schools in low-income communites. Communities with low social capital didn’t gain a lot from ad-hoc and poorly constructed local boards. I’m very skeptical that the decentralization era and school councils were the root cause of later gains. In 1995 Mayor Daly put in Paul Valls as the superintendent (I later worked with Paul when he was the superintendent of the RSD in Louisiana). Vallas, who did not have deep instructional expertise, used test driven accountability to try and make things better. New tests, promotional standards, and interventions for failing schools were all put in place. This matches other research on accountability reforms: you tend to see gains in the lowest preforming schools, but the high stakes can cause narrowing of the curriculum. Arne Duncan came in after Vallas, and he instituted a lot of reforms. Arne launched 100 new schools, implemented internal district instructional and curricular reforms, overhauled school leadership pipelines, and placed a deep focus on on-time high school progression. Perhaps the biggest initiative of this era was the Renaissance 2010 project, which launched about a 100 new district, charter, and contract schools between 2005 and 2010. Unfortunately, no one has conducted a full evaluation of the program. Someone should do this! Two interim research reports came out around 2010. One study, which only included a few years of data from the early Renaissance cohorts, found that the new schools performed about the same as the existing district schools. The other study was inconclusive. Not much help from the research community. A lot of work was also done on school leadership. The Chicago Public Education Fund, in partnership with the district, invested heavily in school leader development, placing bets on both district based and non-profit providers. Another major reform, another mediocre result. Not super helpful, especially since this is the era that preceded the large gains in test scores that occurred after 2009. What About the Charter Sector? CREDO published a report on Chicago charters that covered test scores from 2010 to 2012, which is right in the middle of the period where Chicago saw a lot of gains. The study found +.01 effects in reading and +.03 effects in math. These effects amount to about a month or so of extra learning per year, maybe a bit less. Given Chicago’s relatively small charter market share, and the modest size of these positive effects, it’s unlikely that charters themselves accounted for the 2009-2014 gains. A more recent study, which just looked at charter high school performance from 2010-2013, found much larger effects: +.2 effects on ACT related tests and much higher college enrollment rates. These are large effects, but they are for high school only. The study lauding Chicago’s gains only covered grades 3-8. So WTF Happened in Chicago to Make Kids Smarter? To summarize: Chicago improved its test scores more than any other big city in the country, and researchers really don’t know why. So why are Chicago kids getting smarter? Here’s my guess: competition and accountability lifted all boats. When you put accountability in place (the Vallas era) and then launch a 100 new schools (the Duncan era) you get a city where school leaders know there are consequences for failure and the best of the new schools begin to raise the bar for what’s possible. This theory helps explain why the Renaissance schools and charter effects were a bit muted. In the studies on these reforms, researchers compared the new schools to existing schools. So if the existing schools were improving due to increased competition, you would not see large relative effects for the new schools. I can’t prove that accountability and competition caused the results, but in many sectors accountability and competition make everyone better. It also fits stories we’ve seen elsewhere. In place like Denver and Washington D.C. increased competition led to all boats rising in the public school system. If you have a better theory, let me know. What Should Chicago Do Now? Here’s another tough question: if it was accountability and competition that caused Chicago’s gains, how should this impact Chicago’s future strategy? Since 2002 (while the district was getting much better!) Chicago enrollment plummeted from 440,000 students to 370,000 students. This means that there are lot of under-enrolled schools in the district and the city might have to go through another round of painful closures. This also it means it’s harder to push the very reform (opening new schools) that might have driven Chicago’s previous gains in achievement. Reasonable people can surely disagree, but I would continue to create new schools, albeit in a different fashion. First, I’d open new schools in the areas where population is increasing. Chicago is made up of a lot of neighborhoods, and not all neighborhoods are losing children. Second, I would do some replacement work. Instead of closing all the under-enrolled schools, I’d try and select some neighborhoods where there’s enough child density that you could imagine families coming back to the public schools if there were better options. I’d launch replacement schools in these neighborhoods. There are clear drawbacks to this strategy. Politically, it’s hard to justify opening schools when you’re in the midst of closures. Programmatically, it’s hard sell to get the operators of new schools to open up in neighbors with shrinking enrollment. But I think it’s the best thing for children. Lastly, I might also try and launch some diverse by design schools. In a city as diverse as Chicago, it’s sad that it’s schools are so segregated. Chicago’s Chief Education Officer, Janice Jackson, recently gave her take on why things are better. Her list: pre-k, better professional development, better curriculum, competition from private and charter schools, and clear accountability standards. This entry was posted in Accountability, Charter schools, Entrepreneurship, Hard Things, Research on November 20, 2017 by nkingsl. 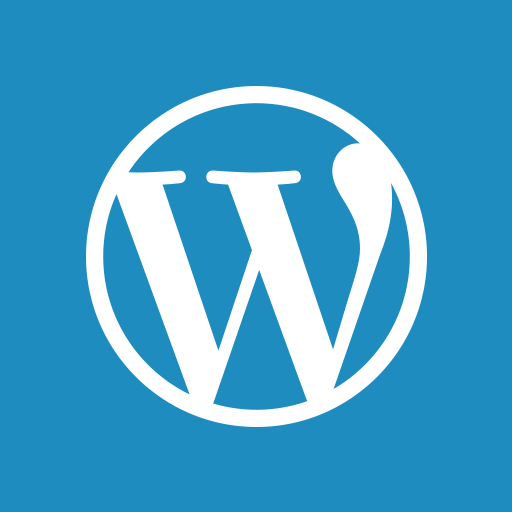 safecss / Proudly powered by WordPress Theme: Twenty Twelve.